Readers want to know: What is the purpose of your organization? How are you building your group? What campaigns are you organizing? What events are you planning? The deadline for the October Progressive Action Roundtable Newsletter is Sunday, September 20. Please send in to this e-mail address – parnewhaven@hotmail.com – articles about your group’s recent and current activities and upcoming actions and events. We are asking everyone to limit her/his article to 350 words. Be sure to indicate your name and organization as they should appear in your byline. Please keep in mind that as layout space permits, we will include photos. IMPORTANT: Don’t neglect to add your organization’s contact information such as phone number, e-mail address or website, so our readers can get more information about what your group is doing. If you haven’t written recent articles for PAR, please include information about your group’s purpose. Do not use different fonts or sizes in your article. Please give street addresses for any events or meetings, even for “well-known” public buildings. The Newsletter will come out approximately Saturday, October 31. Please consider this when submitting calendar items. 2. Submit copy by e-mail, either as regular text or as an MS Word or attachment (.doc or .docx). 3. If you are a first-time author for the PAR Newsletter, thank you! We hope you will subscribe and encourage others in your organization to do so. 4. If you know of someone who wants to write an article but does not use e-mail, send an e-mail to us with that person’s name and phone number or call Paula at (203) 562-2798. We prefer to carry articles and calendar listings rather than inserts. But if you have an insert to include in the Newsletter, we ask you to send the information contained in the flyer to this e-mail address as well so that it can be easily added to the PAR calendar. Your organization must make and pay for the inserts. We will be able to handle only those inserts that are a full sheet (8.5 x 11) or half-sheet (8.5 x 5.5) of paper. We cannot accept postcards or cardstock flyers. There is a fee of $7 for inserts. 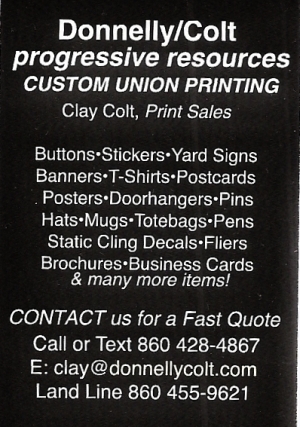 Please call Mary at (203) 387-7858 if you want an insert in the next newsletter. E-mail us if you’d to join our monthly planning meetings or help with the mailings. We always welcome more helpers and new ideas! Many thanks! We’re looking forward to your articles! This issue of PAR is dedicated to Anne Somsel and John Hiller, two exceptional New Haven people who passed on in August. Anne was active in many peace, solidarity and justice groups that bridged borders between nations and classes. Her kindness was known by most of our local PAR readers. 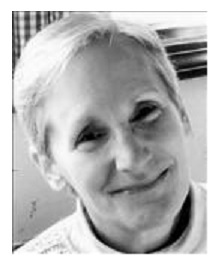 Anne Elizabeth Somsel, 63, of New Haven, passed away Aug. 6, 2015 in Smilow Cancer Hospital at Yale. She was the beloved wife of Stephen Vincent Kobasa. Born in Dayton, Ohio on June 10, 1952, she was the daughter of Clarence Somsel, M.D. and Rita Kessler, one of seven sisters. She held degrees in nursing from the College of Mt. St. Joseph in Cincinnati and Arizona State University. She pursued her vocation in many communities, including the Hospital California in Comalapa, Guatemala; the Frontier Nursing Service in Hyden, Kentucky; the Migrant Health Project in Dover, Delaware and for 29 years at the Fair Haven Community Health Center. Most recently, she was Director of Public Health Nursing for the City of New Haven. For several years, she has served as a Eucharistic Minister at St. Thomas More Chapel at Yale. Besides her husband, she is survived by two daughters, Clare Marie Kobasa and Rachel Becket Kobasa; her sisters, Joan, Jane, Michelle, Peggy and Katie; and her brother-in-law, Paul Kobasa. Gifts in Anne’s honor may be made to Breast Cancer Action, 657 Mission St., Suite 302, San Francisco, CA. 94105. or to Partners in Health, P.O. Box 845578, Boston, MA 02284-5578. John R. Hiller of New Haven died on Saturday, August 15 at Yale New Haven Hospital. 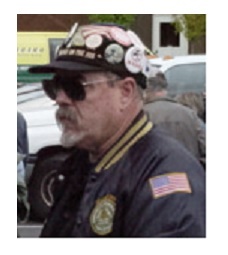 John was active in many local labor, peace and environmental organizations, and was an editor during the early years of the PAR newsletter and continued to be on our mailing committee. The PAR Planning Committee sends condolences to Anne’s husband Stephen Kobasa and their daughters Clare and Rachel, and to John’s wife Marge and their daughters Asa and Illa, and Illa’s husband Charles. He was the husband of Marge Morann Hiller of New Haven and the father of Asa Paradis of Wallingford and Illa Hiller (husband Charles Tirrell) of Northford. He was the brother of Carol Holloman of Hamden and the grandfather of Clara Margery Hughes. John was born in Chicago on July 23, 1941, a son of Cletus and Mabel Beery Hiller. He resided in New Haven for the past 50 years, coming from Chicago. He worked for the New Haven Parks Department for more than 30 years. After retiring, he was a lifeguard and taught swimming for many years. With his daughters, he was very involved with the Girl Scouts of America. Prompt action is needed to move Senator Blumenthal to support the Iran agreement and to counter the opposition he is hearing from constituents. At least $20 million is being spent by AIPAC to oppose the agreement. Specific actions are proposed below. A Senate vote will take place in early September. In a meeting Aug. 10, Blumenthal said he will vote for or against the Iran agreement based only on facts. He’s still gathering them. Blumenthal states he will take a course to avoid war. He says he is listening to his constituents – and to his credit he spent an hour with our delegation. We don’t have to be disarmament experts to readily see that the President is right: either we accept this agreement or we will see Israeli and US war hawks pushing for an attack on Iran. They have been calling for a war on Iran for decades. The war hawks disliked the agreement before it was signed, before they saw it, before it was negotiated. In Congress. This bellicosity comes largely, but not exclusively, from Republicans, who also want to sink anything progressive coming from the Obama White House. They are bombarding our representatives with calls to stop the Iran Agreement. Whatever we think of the Iranian government and its policies, Iran consistently every year since 1974 has called for a nuclear-weapons free Middle East. The US, Israel and a very few allies have opposed such a zone. Currently only Israel and the US have nuclear arsenals in the region. The intelligence and disarmament agencies state that Iran has no nuclear weapons program. Iran’s clerical leaders have continually stated that possessing nuclear weapons is a sin. For over 200 years Iran has attacked no other country. The same cannot be said for the US or Israel. The peace agreement, a diplomatic success, is the surest way to prevent another escalation of war in the Middle East. The war hawks want diplomacy to fail. If a policy of diplomacy rather than war is to be given a chance, then we must support this agreement. 29 nuclear physicists, including 4 Nobel laureates, wrote Obama supporting the agreement. Ambassadors, world leaders and the UN support it. HELP this peace agreement. Call Sen. Richard Blumenthal’s office to support the agreement: (860) 258-6940. Urge friends to do so. We must not miss this chance to prove diplomacy works. 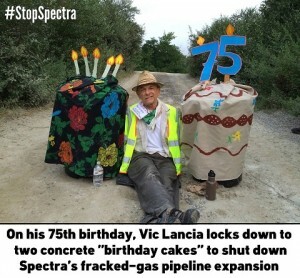 North Windham, CT — In celebration of his 75th birthday today, Middletown resident Vic Lancia locked himself to two giant “birthday cakes” — actually concrete-filled barrels decorated with candles and frosting — on the sole road leading up to a site where Spectra Energy stores construction equipment and materials for use across Connecticut. Federal Energy Regulatory Commission reports posted at capitalismvsclimate.org confirm what local residents have seen: Spectra trucks regularly using the facility to expand fracking infrastructure. 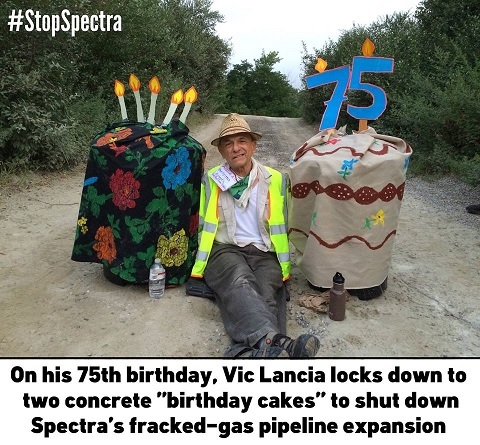 By blocking Spectra workers from accessing the site, Vic aimed to disrupt Spectra’s ongoing construction of its “AIM Project,” a billion-dollar fracked-gas pipeline expansion affecting communities across the state. Vic is a member of Capitalism vs. the Climate, a horizontally-organized, Connecticut-based group that takes direct action against the root causes of the climate crisis. About ten other members and supporters joined Vic, sharing chocolate cake and waving balloons. Beneath the festivities, however, they expressed outrage at Spectra’s pipeline expansion. “Spectra’s pipeline expansion is catastrophic in many ways. It creates incentives for fracking in the shale fields. It transports highly flammable gas just one-hundred feet from a nuclear power plant in New York, potentially endangering tens of millions of people. It accelerates global warming, since fracked gas has an even higher impact on the climate than coal does,” said Willimantic resident Roger Benham. In the mid-century struggle for civil rights, white anti-racist activist Anne Braden worked in alliance with African American leaders and later expressed that “the battle is and always has been a battle for the hearts and mind of white people in this country. The fight against racism is not something we’re called on to help people of color with. We need to become involved as if our lives depended on it because, in truth, they do.” In the past two years, we have collectively witnessed painful reminders that we do not live in a post-racial society. Today, as we experience a resurgence in activism against racism on a structural and individual level, white people are called to join these critical efforts again. With this call to action in mind, Showing Up for Racial Justice (SURJ), “a national network of groups and individuals organizing White people for racial justice,” will be holding its first planning meeting for the New Haven-area affiliate. This meeting will bring together local organizers, activists, educators, and concerned people who want to get involved in a larger community with racial justice as its primary goal. SURJ prioritizes ongoing relationships with local and national People of Color (PoC) activist groups focusing on police brutality, workers’ rights, and other racial justice issues. To maintain accountability, stay informed, and plan aligning efforts, the first meeting will identify current and potential connections within the local activist community. While promoting accountability, SURJ also strives to “call in, not call out” and to offer support to people at different experience levels. In addition to the New Haven-area group, CT SURJ will also have a Hartford-based group, which is currently planning a film screening and a door-knocking campaign in the fall. For more information about SURJ in general, go to http://www.showingupforracialjustice.org. For questions about the upcoming meeting and the New Haven-area affiliate, contact Jennifer Griffiths, jennifergriffiths68@gmail.com. 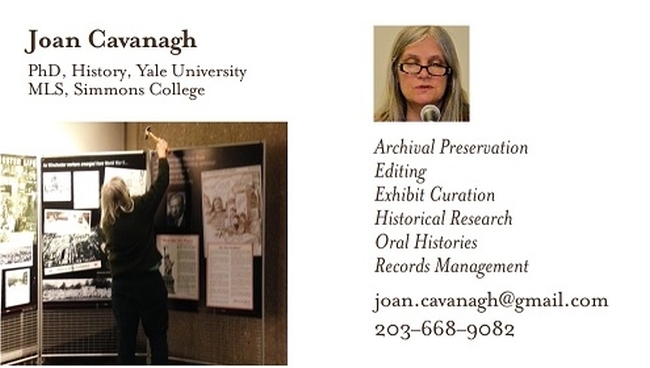 For Hartford-area inquiries contact Cathy Rion Starr, crionstarr@uuma.org. On Monday, Sept. 21, Coalition for People is hoping PAR readers and all others who are alarmed by the increasing loss of democracy in this nation and who want to reverse it will join us in that effort. We meet in the lower level of New Haven’s main library at the corner of Temple and Elm Streets at 5:45 p.m. You will find us in the northwest (rear left) corner. Back in the 1930s, 7th graders in New Haven not only learned about the infrastructure of the government on all levels and how they were supposed to work, but they began to understand the concept of democracy by exposure to the Bill of Rights and the Declaration of Independence. We can go beyond that. If you welcome this challenge or are just curious, let us know if you and/or friends can come on Monday, Sept. 21 at 5:45 p.m. We can be reached at (203) 387-7858 or at coalitionforpeople@hotmail.com. Enjoy the wonderful work of Connecticut Environmental SUPERSTARS discussing issues with People’s Action for Clean Energy! Go to www.nutmegTV.org. At the top of the page click on VIDEO ON DEMAND. In the space “Title Contains” write PACE and click on SEARCH. Scroll down. Interviews include Paul Gunter of Beyond Nuclear, Bernie Zahren of Clean Feet Investors, Jeffrey Macel of Lodestar Energy, Bill Freeman and Alicia Dolce of Celebration Contracting, Chris Phelps of Environment Connecticut, John Humphries of The Connecticut Roundtable On Climate Change and Jobs, Mike Trahan of Solar Connecticut, and Bob Wall of the Connecticut Clean Energy Fund and The Green Bank. PACE applauds these fine people doing critical and difficult work to improve the health, safety and economic welfare of all our Connecticut population. Please let us know if you would like copies of these programs for your local cable stations. Email Judi Friedman at jfriedeco@aol.com. Also PACE President Tim Bowles is discussing PACE issues on WHPX-TV Public Affairs TV show For the Record. Once the show is aired you can go to Google.com and type ftrctri in the search to see recent shows. www.pace-cleanenergy.org. The West River neighborhood has been home to the United Nations dedicated peace garden for many years. The community has taken to heart its role and every year has sponsored an International Day of Peace Festival. Sunday, Sept. 20, 2015 will see the 10th anniversary celebration and it will be a great day. All New Haven peace groups are urged to participate with tables or just come by and help make the day a success for all of New Haven. Contact Frank Panzarella for more information and to set up a table at (203) 562-2798 or by emailing frankpanzarella@hotmail.com. A full day of activities will start at noon and run until 5 p.m. with music by Boogie Chillun, I.N.I.T.Y., free food, meditation, health screenings, activities for young people and much more. The Nation Drill & Drum team will perform as well as Kode Red, poet Baub Bidon and singer Samantha Boisvert and statements will be read by clergy and community leaders. The day is sponsored by the West River Neighborhood Services Corporation with help from Yale New Haven Health, Yale University, Continuum of Care and others. In case of rain, the event will be held Sept. 27. New Haven Review is the Elm City’s own literary journal, founded in August 2007 to raise the profile of the writing scene in greater New Haven area. A program of The Institute Library, New Haven Review publishes essays, fiction, and poetry in print and on the web (www.newhavenreview.com). Individual issues feature work from both local and national writers, placing them in dialogue. But New Haven Review is so much more. Its editors and contributors regularly have blogs for its website about the arts and literature. It features, hands down, the best theater reviewing in all of New Haven—covering nearly every play production from Long Wharf to Yale Rep to New Haven Theater Company to smaller independent productions. It hosts author talks, poetry readings, and one of the best midwinter parties in New Haven! It collaborates with New Haven Theater Company in the presentation of the Listen Here! Short Story Reading series. And what’s next for us? Our summer issue was just published, so consider subscribing — just $20 to New Haven Review, 352 West Rock Ave., New Haven, CT 06515. Find us at www.newhavenreview.com and subscribe! More info: publisher@newhavenreview.com. In October Annie Patterson and Peter Blood, the creators of Rise Up Singing, the world’s most popular and most beloved songbook, are releasing their long awaited sequel Rise Again. 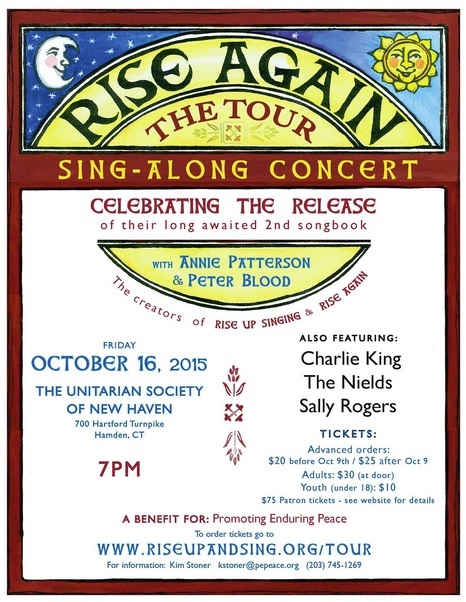 Join us at the sing-along concert and celebration of the release of Rise Again at 7 p.m., Friday, Oct. 16, at the Unitarian Society of New Haven, 700 Hartford Turnpike in Hamden. Since 1988 millions of adults and children have sung and played from Rise Up Singing, a pillar of American musical history, containing the words and chords to 1,200 songs from Beatles to ballads, from Bob Dylan to Broadway, from campfire favorites to gospel & Hebrew folk songs. Rise Again, the long-awaited sequel, includes the words and chords to 1,200 entirely different songs — including new songs written since 1988 (but only the great ones!) and new genres only lightly covered in Rise Up Singing, such as Motown, blues, jazz & swing, and country. In addition to Annie and Peter, the concert will feature Charlie King, dean of New England folk music, sister duo and family favorite The Nields, and the great Sally Rogers, all of whom have songs in Rise Again. Families are encouraged to attend with special ticket pricing for youngsters. Advance tickets may be purchased online starting at $20 ($10 for under 18), a significant discount from the price at the door. Copies of Rise Again can be purchased along with tickets in advance or at the event. Order books and advance tickets at riseupandsing.org/events/rise-again-new-haven. by Al Marder, Amistad Committee, Inc. The Amistad Committee, Inc. commemorates the contributions and life of U.S. Ambassador to Haiti, Ebenezer Bassett, Saturday, September 12 at 10 a.m. In celebration of September Freedom Trail Month, please join us in honoring the first African American appointed as Ambassador, Ebenezer D. Bassett. 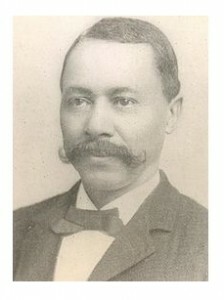 Born in 1833, the son and grandson of renowned “Black Governors” of Connecticut, Mr. Bassett became the first African American accepted to New Britain’s State Normal School, the parent institution of Central Connecticut State University. Before becoming ambassador, Mr. Bassett was principal of Philadelphia’s Institute for Colored Youth, which became Cheney University, the nation’s first historically black college. New Haven was his home for many years. Invited Speakers: Honorable Toni N. Harp, Mayor of New Haven, Marian O’Keefe, Preservation Consultant, Dr. Carl Lovitt, Provost, Central Connecticut State Univ., Dr. Alex DuGuy, Wesleyan University, “Haiti,” Grove Street Cemetery, 227 Grove St., for more information, call: (203) 387-0370. Email: Amistad.nai@rcn.com. A reception will immediately follow at Jean Pope Park (adjacent to cemetery), sponsored by Yale University’s Office of New Haven and State Affairs and The Amistad Committee, Inc.